by Terry Hong Having lived most of my life in cities, being temporarily stuck in a small ski resort town in the Wild West has been quite the challenge. Whenever I leave Dodge, I seem to take a good percentage of the diversity with me. When – shall we say, ‘colorful’? – out-of-town friends come to visit, we elicit stares when we venture out. No exaggeration – three sets of recent visitors have specifically mentioned the head turns. All that will probably explain my surprised, tickled, utter delight when I met first-time author Valynne Maetani, who happens to live down the mountains. Instant empathy was predestined: shockingly, her family has called this renegade state ‘home’ for nearly a century! Hearing the stories about her multi-generational experiences has been a serendipitous gift. Like Maetani, the 16-year-old protagonist in her debut young adult novel, Ink and Ashes, is a local girl with ties to Hawai’i, where Maetani’s Japanese ancestors first landed before heading east to the mainland. Claire Takata seems to be your average Utah high-schooler. She’s a good student, a starter on the soccer team, and she hangs out with friends. She’s the middle of three children, and lives with their mother and stepfather whom she calls “Dad.” In addition to her two brothers, Claire is surrounded by three neighborhood boys who are more family than not, especially her best friend Forrest who lives next door. On the tenth anniversary of her late birthfather’s death, Claire takes out his journal and discovers an unsent letter stuck between the cardstock and the back cover which she never noticed before. The letter is in Japanese, which Claire can’t read; it’s written by her father and addressed to her stepfather. The story has always been that her two fathers never knew each other, but the letter soon proves otherwise. Together with her five boys-in-waiting, Claire begins to uncover secrets, half-truths, and downright lies that threaten their very lives. Between unintended phone calls, a middle-of-the-night fire, accidents that should never have happened, Claire and her posse need to solve the growing mysteries about her birthfather … before one of them joins him on the other side. Terry Hong: You wrote this book as a gift to your sister … what an incredible gesture! Most people might buy a book as a birthday present, but you actually made one up out of thin air! How did you actually make it happen? Valynne Maetani: I wrote Ink and Ashes for my sister’s 18th birthday because I never got to see myself in books other than those with settings involving war, internment camps, or high fantasy. I wanted her to have a contemporary title with a Japanese American protagonist, and I was tired of reading about people like me who were hated just because of the way they look. I thought the greatest gift I could give her was a book I never got to read. Because I’d never written anything before, I don’t know what made me think I had a story waiting to be told. But I sat at my laptop and started typing with no clue where the story would take me. Somehow, Ink and Ashes materialized on the screen. TH: Serendipity indeed! Of course, since this is Bloom, I also have to ask … what took you so long to get on the laptop? Why not your sister’s 12th birthday, or 16th like your protagonist Claire Takata? What detours did you have to go through until you finally decided you were going to set words to screen? VM: Until I wrote the book for my sister, I’d never had aspirations to be a writer. The experience of writing was new and exciting, and I immediately fell in love with it. At the time, I was a project manager for a non-profit company that creates educational software. Writing became an escape from all the stresses that accompany the balance of working full-time and raising kids. I went to writing conferences and wanted to learn as much as possible about the craft, but when agents and editors started to request my work, I froze and couldn’t write anymore. I realized I always wanted writing to be an escape, not a job. I already had a full-time job! So I gave myself permission not to pursue publication. I set aside the manuscript and started working on another book until the announcement for [Lee & Low/Tu Books’] New Visions Award motivated me to submit Ink and Ashes. TH: What was the specific inspiration for the story of Ink and Ashes? As scary as some of Claire’s experiences are in the book, she has one heck of an extended family … does it resemble yours growing up? How much of your own family’s lives did you actually draw from to write the novel? VM: I have always loved mysteries. In my day, there weren’t a lot of YA options, but I read Lois Duncan, Agatha Christie, and VC Andrews. Trying to follow red herrings and guess how a story might end was a thrill, so I knew I wanted to try to create something similar. Weaving a mystery around the idea of the yakuza – the Japanese mafia – came from watching movies with my grandfather as a kid. The yakuza have always been fascinating to me because of the code of honor they live by although they are a crime syndicate; I’m drawn to the juxtaposed mystery there. Claire’s siblings are based on my brothers, although I actually toned down the personalities of the characters. In real life, my brothers are so over-the-top that I didn’t think they would be believable. Like Claire, I grew up surrounded by boys; including my brothers, there were six total, not five, and the group included even more boys outside of the three main families. For the record, my friends were like brothers, and I never dated any of them. TH: I assume your sister has read the book by now? And her reaction? What about the rest of the family? VM: Actually, my sister read the version I gave her for her birthday, but she hasn’t read the book in its final form. When I first talked to my editor about revisions, I asked if I could rewrite the entire book. My editor gave me the permission to do so as long as I kept the heart of the story the same. The beginning and the ending of the book are the same, but everything else is different and hopefully much better. At this point, I’m making my family wait until the book releases to read it and keeping my fingers crossed they will like it. TH: Even though you wrote this for your sister, what about your daughters? Have they read the book? And …? VM: Only my oldest daughter, who is 14, has read it. The reaction was as expected: “Eh, it wasn’t bad.” TH: Guess your publishers made for a kinder audience, ahem! Let’s backtrack a bit … so you weren’t pursuing publication, had moved on to writing another book, and then you decided to submit Ink and Ashes to the New Visions Award contest. What prompted that? And what did you do when you heard you won? VM:: I read online about the New Visions Award and hadn’t initially intended to submit anything. But then someone replied to the announcement for the award with the following response: “I was slightly concerned to see that this publisher was seeking submissions for a contest, but only from writers “of color” … It appears that the means to the laudable end of ‘true diversity’ in YA/MG lit is more submissions by “authors of color.”The person went on to ask why it mattered if the writer was “white.” S/he suggested Tu Books get rid of the term “of color” from all the fine print on their website. I believe true diversity must involve more authors of color. Underrepresented voices are equally as important. I am a Japanese American writer, who grew up in Utah, surrounded by people who looked nothing like me, reading books about people who look nothing like me. My voice matters! I didn’t feel like my manuscript was in good enough shape to send to an editor, but I submitted it to Tu Books anyway to support the award and what the awards stands for. The thought of being a finalist never crossed my mind, so you can imagine winning the award was an even bigger surprise. TH: Congratulations again! So what are some of the big plans ahead to launch the book out to waiting readers? VM: My personal plan looks like this: 1) Survive 2) Survive 3) Survive Other than that, I will be appearing at various conferences both locally and in other states. I’ve been told the best strategy for selling a book is writing the next book, so that’s what I intend to do. TH: You’ve been involved with the fabulous grassroots organization, We Need Diverse Books, from the beginning. How did that come about? VM: I joined the We Need Diverse Books organization shortly after their IndieGoGo campaign. I had followed them from the beginning because they represent everything I believe in. Their mission statement reflected the very reason I wrote Ink and Ashes, so I went to their website and signed up to be a volunteer. TH: What are some of your duties for the organization? VM: Right now, my main responsibility involves overseeing the finances for the Diversity Festival on July 24, 2016 in Washington, DC. We are hoping to secure sponsorships and grant funds so we can connect authors with children and aspiring writers. It’s going to be a lot of fun! TH: We Need Diverse Books has made phenomenal strides in creating awareness and actually changing publishing practices at many of the major houses. How do you think the organization might evolve in the next five years as more inclusive changes are implemented? VM: Next year will be the first year for the Diversity Festival, so there’s been a steep learning curve. This has been my only responsibility since joining the organization, so I have a lot of hope that in five years, we will know exactly what we’re doing and be pros. I also hope the festival will have attendees and corporate sponsors who have a tradition of supporting the conference. Beyond this, I expect the organization will only grow and extend its reach. It would be nice to think panels at various national conferences are making better efforts to include more diversity, whether it be various authors of color, gender, LGBTQIA, disabled, etc. I haven’t been directly involved in the creation of educational book kits, WNDB in the classroom, the Walter Award or the internship program, but I hope great strides will be made, allowing these programs to extend our reach even further. TH: You’re a fourth-generation Japanese American … and a fourth-generation Utah Mormon Japanese American. That’s quite an unusual description! How did your family end up in Utah? VM: My great-grandparents first immigrated to Hawai’i in the early 1900s. A maternal great-grandfather then moved to Utah because it was one of the few places he could buy land to farm. A matchmaker paired him with my great-grandmother, who was a picture bride, who left her family in Japan at 19 knowing she would never see her family again. TH: That was some sort of courage your grandmother had back in the day! Decades later, your three daughters are now fifth-generation and still undiluted, so to speak, Japanese Americans … not a hint of mixed race in them! Statistically, Asian American women tend to marry out – and Japanese American women most of all. How did your family stay so … well … ethnically Japanese? VM: Because I grew up in Utah, where diversity is a little lacking, I never thought I would marry another Japanese American. After graduating from the University of Pennsylvania, I moved back to Utah, broke up with a boyfriend I had met while in college and dated for almost six years, and vowed I’d never, ever, ever get married. But then I met some people who were part of the Asian club at Brigham Young University. One of them was about to begin law school, and we started to date although I warned him I didn’t want a boyfriend. And then I told him he could be my boyfriend, but I would never marry him. When he proposed, and I said no, he says he knew I was just kidding. A year later, we were married. TH: Awwww … and along came that fifth generation! I understand your middle daughter has made you a stage mom, oh my! What’s that like? And since you refuse to move to La-La-Land, how’s that commute to Los Angeles when your daughter gets the calls to go West, young girl? VM: It’s been an eye-opening experience and very difficult at times to manage her career as well as mine. Admittedly, I am probably the worst stage mom on the planet. The biggest adjustment has been learning to be flexible. I like to know ahead of time where I need to be and when, but our trips to LA are generally last minute. I’ve had to cancel plans many times, and that can be frustrating, but I also feel like it’s important to support her in whatever way I can. There are so few roles for actors of color in general, and for the roles that exist, there are even fewer for Asian Americans. My daughter wants to be part of changing Hollywood in the same way I hope to be part of the change in children’s literature, so I try to do what I can for her. TH: I hear Utah has quite the community of young adult writers – and many are Mormon like yourself. James Dashner, Shannon Hale are two that come to mind immediately. Do you all hang out at the local bakery – no coffee, of course, ahem! But seriously, were some of these established authors accessible as resources for you? Was it inspiring to know that Utah offers so much creativity all around? VM: The children’s writing community in general is very strong in Utah. While many of the writers are Latter Day Saints, many are not. There is no Mormon mafia. And even if there were, the information would be classified. Ha! But seriously, the community is strong because we’ve had great examples who have led the way for us. Authors like Rick Walton and Carol Lynch Williams have fostered a tradition of paying it forward and supporting one another. I’ve had a tremendous amount of help along the way. TH: You have quite a bit of Japanese language and culture in Ink and Ashes … and yet I understand you don’t speak much Japanese yourself. How did you do the research for the book? And who translated for you? VM: I don’t know enough Japanese to speak sentences, but my parents and grandparents used a lot of Japanese words. The words I used in the book are ones I heard in my home growing up, but the letter was written by a family friend, who is a native of Japan. He does translations professionally, but fortunately, I received the family friend discount – free! TH: I so appreciate and empathize with your author’s note at book’s end – about how Japanese American culture is not Japanese culture, and that immigration has more or less frozen the immigrant in the habits, traditions, even language, of the time period when he/she left. Meanwhile, the home country has marched on and changed in a myriad of ways. Your parents – three generations removed from Japan – are now living in Tokyo. What was that entry like? And how are they faring now that they’ve been there a few years? VM: I think it was difficult at first. They missed the grandkids, and my mom doesn’t speak the language. Although my dad speaks Japanese, he hadn’t spoken in years, so he was rusty. At this point, though, they feel at home. They know the area, and everyone has been very welcoming. There is a lot they’ve learned and continue to learn, but they say many of the Japanese people are fascinated by Japanese Americans. They want to see pictures and ask a lot of questions about daily life in America. TH: You’re working on your next novel – and doing so in partnership. Can you tell us a bit about what the new book is about? And how are you managing the logistics of writing with another person? VM: I’m currently collaborating with Courtney Alameda, author of Shutter (Feiwel and Friends, 2015), on a young adult Japanese horror/thriller titled Seven Dead Gods (working title), which is a retelling of Akira Kurosawa‘s film, Seven Samurai. Our main characters will be plagued by Japanese monsters and ghosts, and require the help of shinigami (death gods) for protection. I love co-writing. It’s nice to brainstorm with someone who knows the characters and vision of the story. Generally we write every other chapter. Once the chapter is written, the other person goes through and revises. Even though we have an idea of what the other is going to write, it’s always fun to see how the idea is executed. TH: As part of your research, you and Courtney are planning on visiting Japan. Have you been there before? Any thoughts on what the trip might be like? VM: I have never been to Japan before, so this is going to be a busy trip. Courtney and I need to do as much research as possible in a short amount of time. It will be fun, but tiring. TH: And any plans for the next solo book? VM: I hope to be working on the sequel for Ink and Ashes. 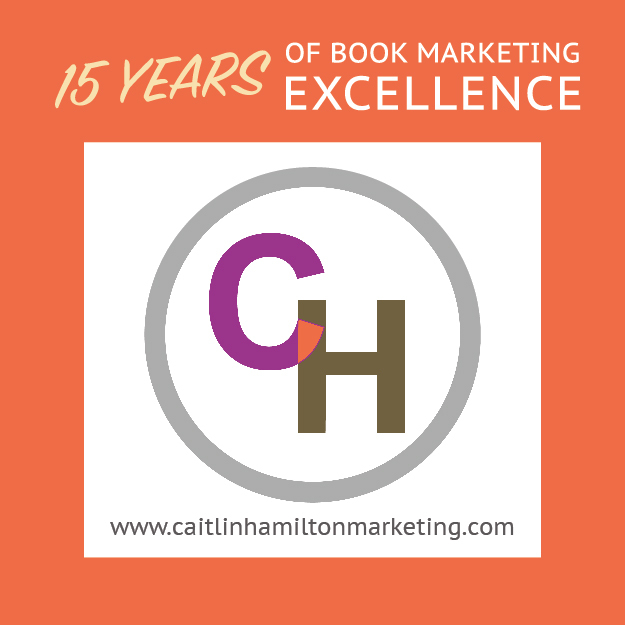 TH: Oh, and your favorite book is To Kill a Mockingbird – which I read on your website. How excited and impatient are you to get a hold of To Set a Watchman? VM: I have such mixed feelings about this. I’m really excited but nervous because I don’t want my expectations to be too high. Tags: Carol Lynch Williams, Courtney Alameda, Ink and Ashes, James Dashner, Lee and Low Books, Rick Walton, Shannon Hale, Shutter, Terry Hong, Valynne Maetani. Bookmark the permalink.